So it's Sunday afternoon and I'll be back to school tomorrow. But I don't really mind going back since I quite like school, mainly because I get to see my friends. I hope you all had a fantastic Halloween, and if you were off for the week too, I hope you had a nice time. Now we can get excited for Christmas!!! November??? 2013 has actually flown by sooooo fast, it feels like it was New Years Day yesterday! Imperial Leather are the best for luxury body washes and creams, the formula is always so luscious and rich. This one in particular is super rich and creamy! The scent is so gorgeous and relaxing, perfect for a shower after a stressful day of school/work (and that happens usually). I have raved about this before for many reasons. When applied, it feels so lovely and smooth and makes your skin feels so even. You can put it on under or on top of your make up or on its own, but I love it best when it is on top of my make up; it helps it stay longer (since it is a primer kind of thing). I just love this! I wore it to school quite a few times this October. I got this back in May for my birthday and it is an unusual, strong, captivating fragrance. I've been spraying this non-stop this October; it's perfect for any occasion, but preferably when you're wearing pink... Haha! This is what the name is, comforting. It soothes the skin and wakens me. I know I don't have dry skin but I thought 'why not get something that will keep my skin hydrated through the colder months?'. And this is just the thing. Plus, the smell is perf! I always apply it to my skin after a shower or after washing off makeup, and I did a lot this past month. I rubbed this on to my lips every night obsessively during October because it is super moisturising and the scent is amazing (I go on about the scent of products a lot)! I love vanilla, and this will be great for the winter weather, but not as brilliant as Vaseline of course. Vaseline will forever be the Queen of lip balms. Again, I've mentioned this lip crayon before, and yes it is a gift from a teen mag, but it's not crappy! I've had it for a good while and wore it quite a lot in the past month because I see it as great A/W shade. It's a hot pink, but quite dark at the same time. I've also been loving my Apocalips lipstick/gloss by Rimmel but I think I lost it at my friend's house at a sleepover :(. It's a similar shade but a lot more glossy. I've had these for yonks and I wear them religiously in the colder months. They are super cosy! I love wearing them with jeans or tracksuits bottoms and they're very handy to have. I got this 2 summers ago in the States and it is very easy to style with; fancy or casual, I can pop this on! I wore it tons in October. It's perfect for any season too. When I set my eyes on these I had a heart attack. They're so pretty and glamorous and pretty and did I say pretty? Obviously I bought the ears and you can see the above OOTD here. Since Penneys has such good quality items (sarcasm), they are now broken. For a sleepover last weekend I wanted to be a cat and had to fix my ears, so Mum came to the rescue and glued them together with super glue so I could prance around in my friend's house with them on for the night *thanks Mum*. Of course, they're broken again, but I wore them quite a lot through October when they were in one piece. They are so adorable and childish, which makes me feel hyper (in a good way). Shout out to my cat twin Grace. :) At least they look pretty in my bedroom. This is a perfect summer to autumn transition as the weather isn't too cold, but is still a bit chilly in autumn. Tights under shorts is a fun, carefree look that won't leave you shivering to death by the cold wind. I wore my tights and shorts from Gap continuously throughout October. These cookies are heavenly. Soft, chewy and succulent. Need I say more? Make sure to listen to these, you'll thank me! I have a lot of favourite songs. This song has a brilliant beat! Love the singer and the lyrics are so sweet. It makes me wanna dance! Orla Gartland is a beautiful singer and this is her first EP. Plus she's Irish! This song is definitely not everyone's type, but I really like it! The music video is super weird though. This song is super old! Again it's another song that not everyone will like. I rediscovered it one day after recognising it from seeing it on MTV years and years ago. I especially love the chorus in this song, such a unique tune. Love it! Phew, and artist you know! Thanks to Alex I'm now obsessed with this song, and unusually it is a slow ballad by Ke$ha. It is a terrific song altogether, just have a listen! I recently discovered Haim and now I lalala love them! Their music is so different and cool, especially this song. I think I'm gonna ask for their album this Christmas! I so badly want Katy's new album, it's supposed to be brilliant! It'll again be on my Christmas wishlist. This song in particular is so touching. It is a powerful ballad, and the lyrics really want to make me listen. "I will love you unconditionally" really suits a lot of people's situations *admit it, you're in love with Zayn Malik or a member of 1D*. The last song of my favourites, finally! Thanks to a close friends to get me addicted to listening to this adorable song. Joe is the definition of cuteness, and the tune and lyrics are so sweet. It's quite old, but so what? And Joe is a lot more good looking without glasses, btw, and that's kind of crazy. WARNING! You'll see TMI in my favourites for another good while. I'm reading this on my Mum's kindle, and yes, I'm only at like 30% or something through the book after a month. I hardly get any time for reading during school time, but anywho, this series is magnificent! Cassandra Clare is a super talented writer. When I read it, I want to keep reading. It's crazy to believe that next month it'll be two years since I started collecting KISS. Wowza! I watched this with my sister and bawled my eyes out at the end. Of course I won't spoil anything for you, but you need to see this classic, spectacular movie. You really do. 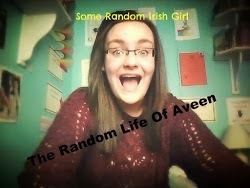 Aveen is an Irish 17 year old who writes a brilliant life blog. I love reading her crazy but relatable thoughts; she seems like a really nice person. Plus, she's best friends with fellow blogger Grace, and they made a hilarious YT video which you can watch here. Also, Aveen has an amazing Tumblr, make sure to check it out as well as her blog! 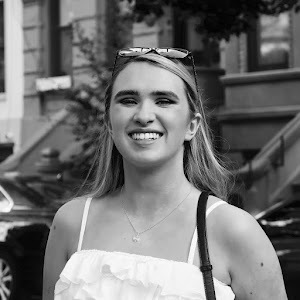 This is a collaboration blog with seven bloggers (Grace, Ony, Aveen, Lemmie, Leah, Alex, and Phoebs) and is super cool. The best thing about it is that it is updated everyday! It really keeps you interested. They do a different topic every week and it's fun to see the different perspectives of each girl. Don't forget to follow it! Adelaine was in the top 6 of the NYX Face Awards and is amazing at makeup. Her videos are perfectly edited and she's so funny! She's a unique beauty guru in my opinion as her videos are always different to others. She's such a cool person! Watch her tutorial above, it's class! Penneys have loads of nice cheap candles that smell just as good as Bath and Body Works (but maybe aren't as good quality). I bought this one back in the summer but haven't burned it until last month. It doesn't really smell like a sea breeze when burned in my opinion, but there's calming sensation when it's lit. I'll be doing a Q&A soon (if I get enough questions) so if you have any burning questions for me (not too personal), then leave them in the comments or tweet me @queenofquirk. Yay goallap got a mention! Ooh, you've reminded me that I need to pick up some more candles for fall! And that cookie looks absolutely delicious! Lovely post! I have the same nivea lip butter and love it!